Google released Chrome on September 2, 2008. I just noticed that today is November 11 :-) , Google’s Chrome Browser was two months old. 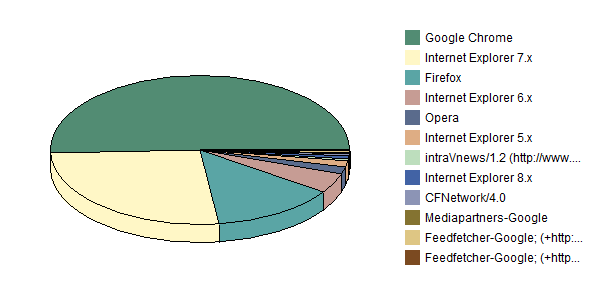 My blog ChromeFans.org was online on September 11, to this day exactly two months as a whole. 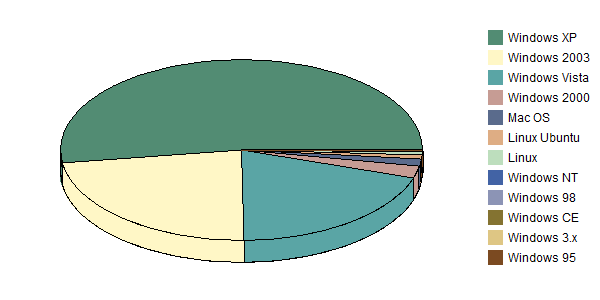 I checked the access reports of my site and found some very interesting data. Previous article: Federico Fieni: Google Vs Microsoft = Chrome? Next article: Google Chrome Out Of Beta Now! It might not be the case for other sites. Well, that's awesome but Sophie makes sense. Anyway, I just want to ask this since I don't know how to send a message to the developers. I really liked Google Chrome. All the features and some li'l eye candies... Well, I just wanted to ask if I can actually choose where to install Chrome. It kinda goes directly to my Drive C and my don't have a lotta space - don't wanna advertise but I'm using an Asus Eee PC 4G. So I need to learn how to install it on a different drive or is it even possible? !